This recommendations are directed primarily to standard organisations as well as companies of the food sector with own sourcing requirements. They should support the management of standards and companies in the efforts to improve biodiversity performance as well as those persons responsible for the revision of standard criteria and for companies sourcing rules, persons responsible for product quality and sustainability coordinators. 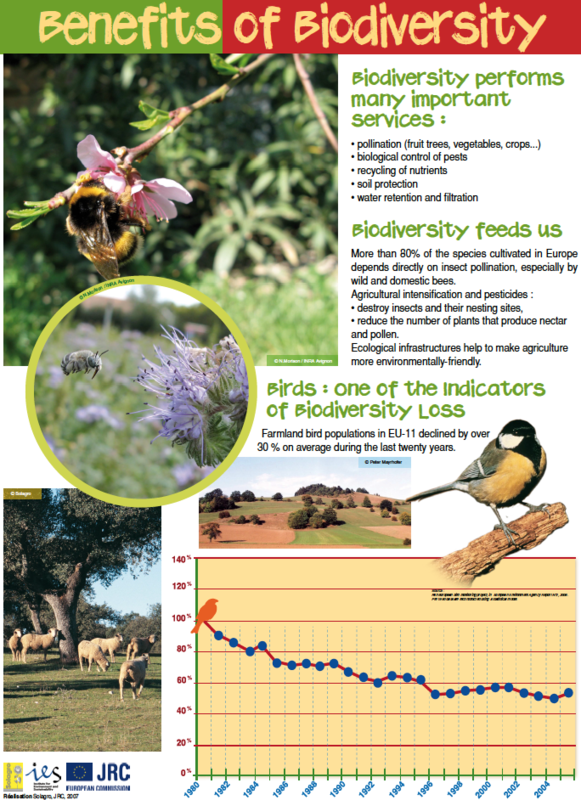 BioBio: development of indicators regarding the links between low level input farming and biodiversity. "The aim of the AgriClimateChange project is to contribute to making the European farming sector an international leader in the fight against climate change, taking into account the key role that farmers play in a sector at the intersection of different needs: food production, but also the protection of biodiversity, of a certain heritage, of landscapes ... and of the climate." "Esto is a European project in the Leonardo program. What is its starting point? The observation that in order to avoid pulling up or abandoning the last traditional meadow orchards of Europe, the managers of rural areas (towns and farmers) must be made aware and trained: - in the preservation of the existing orchards – in restoring abandoned orchards that can be regenerated. – in planting new orchards." QuESSA is a European collaborative research project that was born in a context of political reflection about the support of new tools that would favor the sustainability of farming systems. QuESSA aims to quantify the contribution of semi-natural habitats to providing vital eco-systemic services for sustainable farming. The aim of the European project Food & Biodiversity is to improve biodiversity protection in policy and criteria of food standards and sourcing requirements of food companies and retailers. Solagro is collaborating with six european partners. Will we be able to feed people, livestock, produce energy, construction material, molecules for green chemistry, within an area that is more and more rare and sought-after, while collectively taking up our commitments to contain climate change and to adapt to it, reconquer biodiversity, guarantee health for all through quality food? 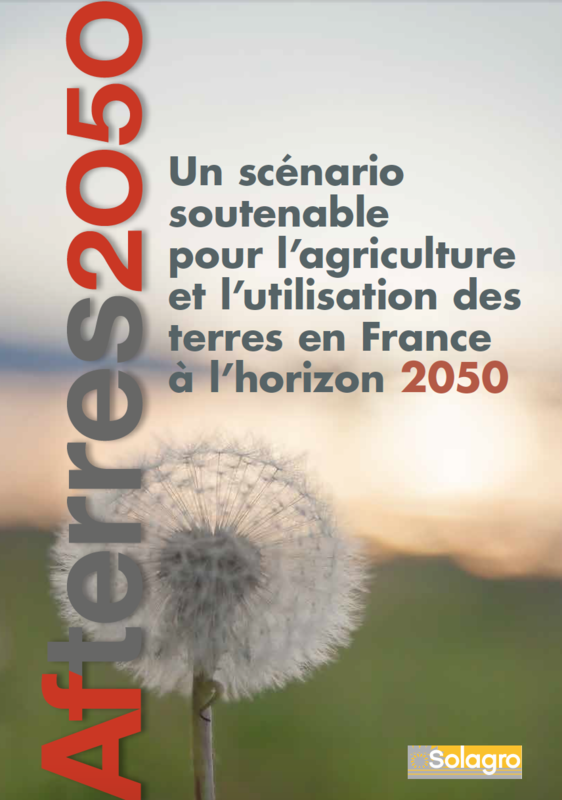 This is the set of questions that the « Afterres2050 » prospective study attempts to answer. The AgriClimateChange program partners grouped 10 significant actions to fight against climate change at the farm scale into 3 main categories: agronomic measures, livestock follow-up measures, or measures concerning energy sobriety and the development of renewable energies. Each measure is described in its energy and climate interest and indicates the farming systems concerned, the implementation costs, the associated environmental co-benefits, the implementation possibilities for the CAP 2014-2020 and finally the technical feasibility for farmers. 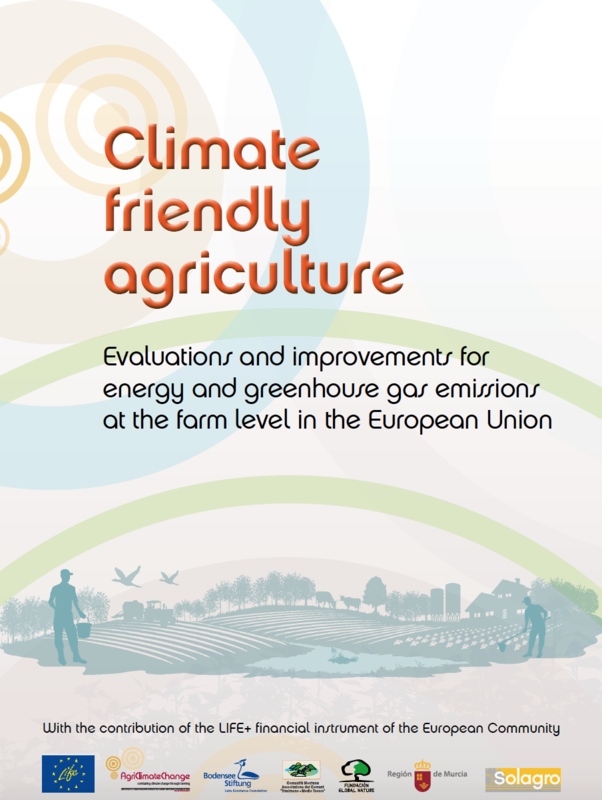 This document regroups all the results for energy and greenhouse gas (GHG) in a network of 120 farms in Germany, Italy, Spain and France, that were followed during 3 years by the partners of the AgriClimateChange program. The manual presents in a progressive way: the general principles of the ACCT evaluation tool, the energy-GES results per production system, the main measures to reduce energy and GHG on the farms. Finally 9 specific case studies are detailed, corresponding to contrasting production systems. 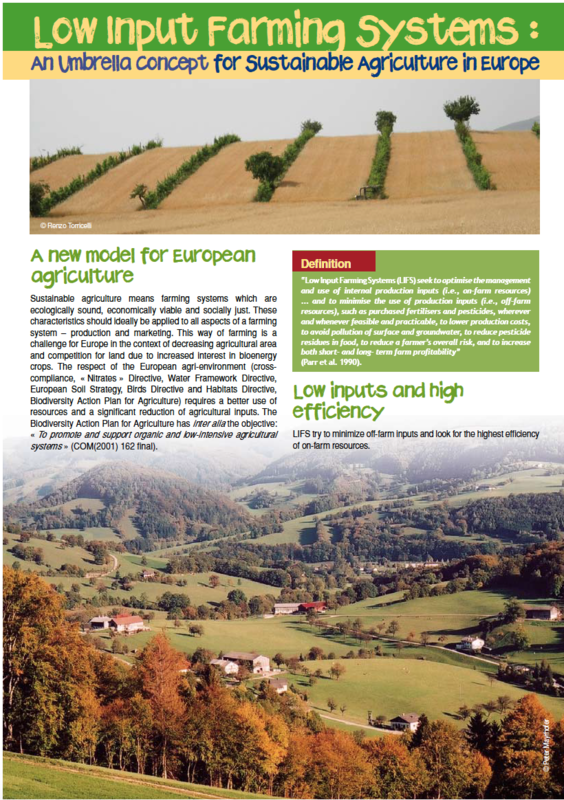 This brochure, that was produced within the framework of a contract for the Common research center of the European Commission, presents the main principles underlying the concept of the "low input level farming system". 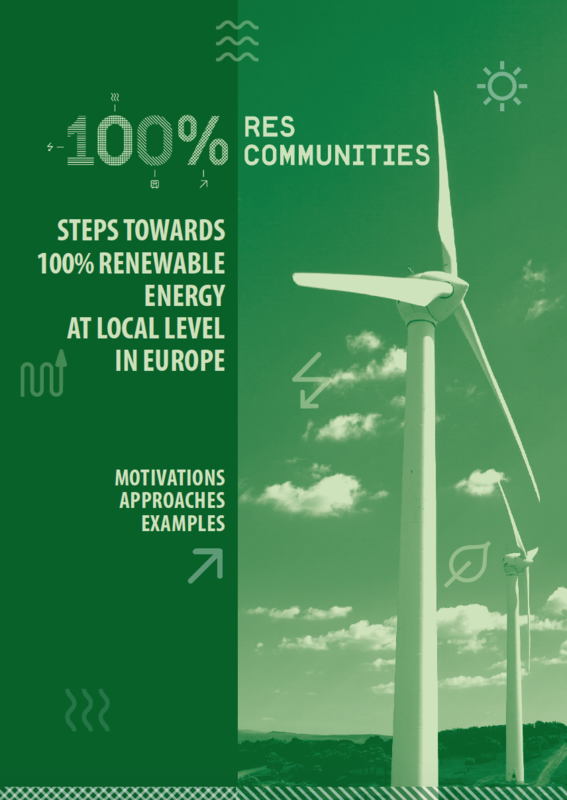 Poster published in 2007 within a framework contract with the JRC (Joint Resarch Center of the European Commission). 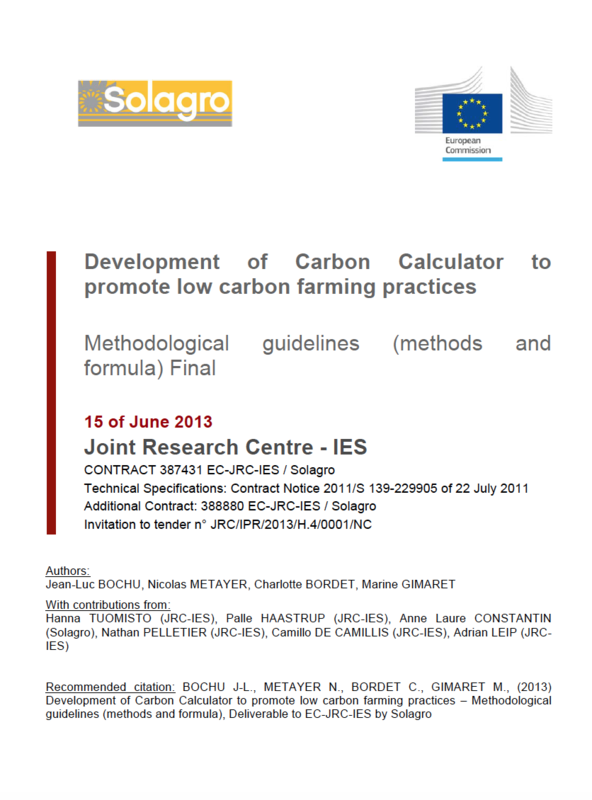 This document, that is only available in English, is destined to the users of the Carbon Calculator and presents the general principles of the uses of the tool. 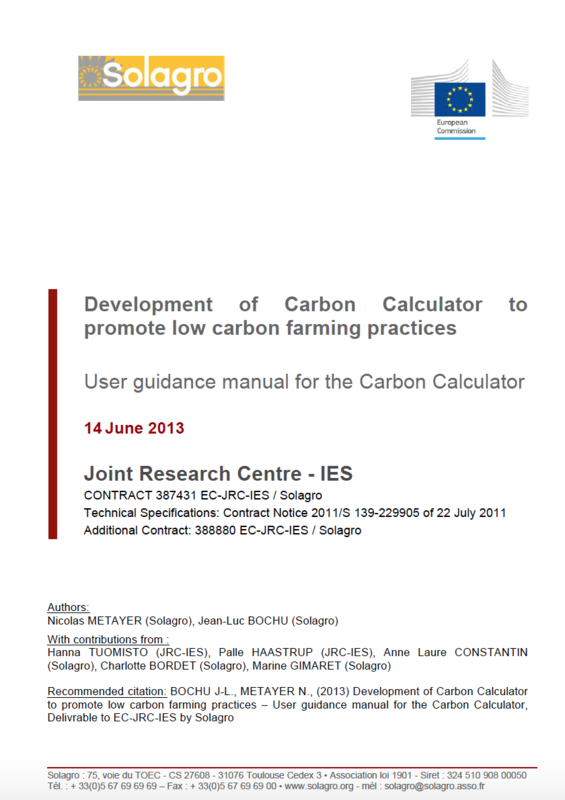 The guide allows the user to become familiar with the recommendations that are specific to each module, and according to a progression in the different steps of the diagnostics, from collecting data to providing to the final results given by the Carbon Calculator. Reading this guide will allow the users optimal use of the tool for results with higher robustness. 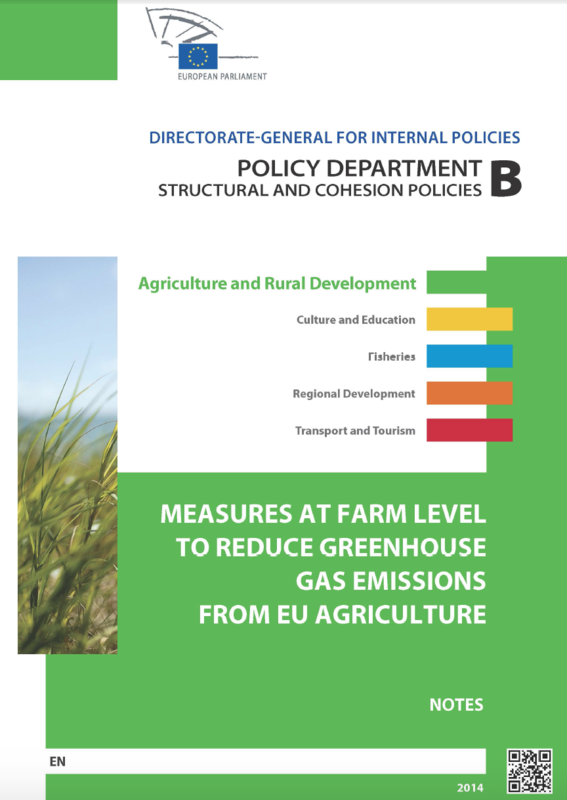 This document details the perimeter selected for the evaluation of farm greenhouse gas, the types of greenhouse gases taken into account and the different direct and indirect estimated emission sources. The calculation methods (formula) are detailed for each greenhouse gas emission source, carbon stock variation, as well as the allocation rules of the impact of greenhouse gas between the various agricultural products of the farm. In the same way, the emission factors of each data item of the tool are grouped in a recapitulative table that provides the bibliographical references.